Egg Boy has his sights set on Tony Abbott today after his monumental egging of Fraser Anning yesterday. The national hero says he’s sick of politicians like Anning and Abbott destroying Australia’s reputation globally. So far he’s raised $63 for his GoFundMe page. 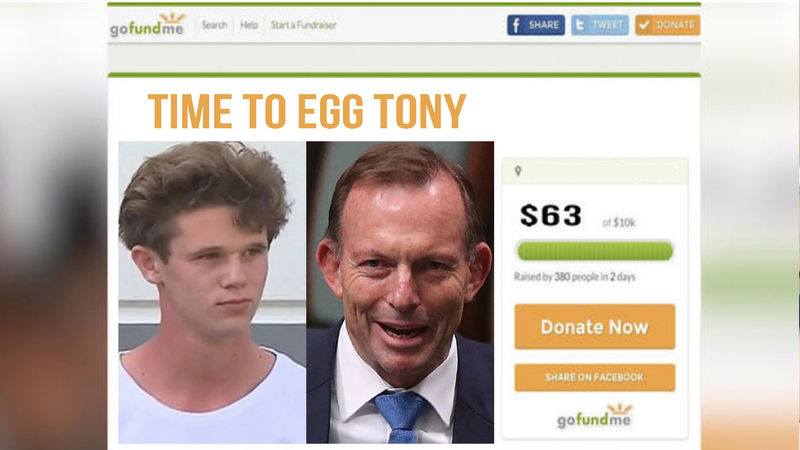 A seperate GoFundMe page set up by Egg Boy fans has raised almost $30,000 to help cover court costs.